Whether you believe in inerrancy or not, invite others to react to this image by sharing it using the buttons below… Thanks! I agree . I use the historical apologetic of men like John Warwick Montgomery and come from a place of looking at the Bible like any book and dissecting the claims it makes and going into the historical evidence for the deity of Jesus Christ and proceeding from the view He took of scripture. Utilizing the evidence through the manuscripts and their close proximity to the writings of origin, the fulfilled prophecy etc. In other words it takes research and work and a lot of people are unwilling to do that. Right. Those are good ways of approaching the text. Since the Bible does not tell us which books are in it, I’m skeptical that we believe in inerrancy because “the Bible” tells us so. And How many of the books claim to be inspired by God, I wonder? I believe the Bible is the Word of God and infallible, because as I hear the Word I am convicted by it, and changed by it. As Gerhard Forde would say, “It does God to us.” Meaning it is a creative and powerful Word that carries it’s own authority as it witnesses to Christ and His promises. Jesus himself had an extremely high view of scripture – good enough for me. This post will certainly stir the pot, although probably not so much as the one two weeks ago Sunday. If I claim that I am the kindest person in the world, that does not make it so without collateral proof. Should you claim I am the most unkind person in the world, you would also need to substantiate your claim with proof. In a similar vein, because the Bible says things that some people understand to mean that it claims to be inspired and “inerrant”, does that make it so? Might we say it is simply a matter of “faith”? 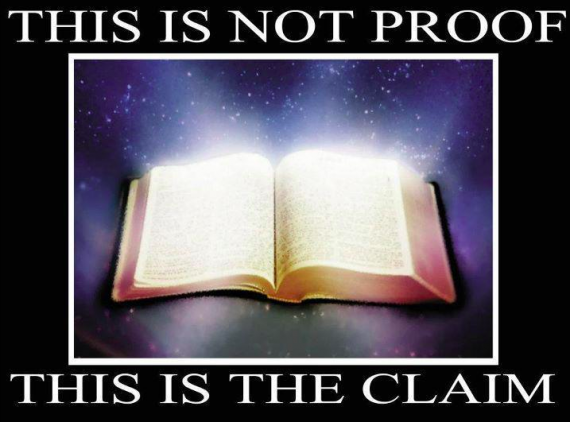 Or should we be able to prove or disprove the claims the Bible apparently makes about itself? Several years ago we attended a meeting of people who were talking about starting a street ministry in an inner city neighborhood. One fellow shook my hand and immediately asked “Do you believe the Bible is inerrant?” I asked why he would ask me that question. He replied that if any of us were planning to do street ministry, we first had to believe the Bible is inerrant. I told him that people mean all sorts of things by “inerrant”, and asked him what he meant by it. With a broad, confident smile he replied “without error”. I asked if he meant his translation was without error, if other translations are without error, if only the original manuscripts are without error and if so how can we know if our translations are without error without the original manuscripts (which have all been lost), etc. He changed the topic. Those people, however, don’t agree among themselves about what the Bible says. Why should they expect the rest of us to agree with any of them? This is not an argument for or against the “inerrant” Bible. However, I am very suspicious that the modern inerrancy debate was forced upon Christianity by those who wish(ed) to disprove the claims of the Bible, and the apologists took (have taken) a position more extreme than they had generally taken in the first eighteen centuries of Christianity. I think you are right about the way you read inerrancy. The way inerrancy is often used, it is not exactly the Bible that is inerrant, but “my interpretation” of the Bible. Great point! So now we are saying that a logical conclusion of what the Bible says is out of human reach? Once one settles the question “is the Bible the word of God” Which is the first step, then the Bible can be taken in its entirety and a reasonable conclusion can certainly be met. There will always be small disagreements that do not hinder anything, unless one is extreme, but that should be expected when dealing with God, whose mind we can not fully know. The Bible contains within it the way to eternal life. It cannot be obtained without it, if you believe what the Bible says (Romans 10) There is no middle ground. If you say that the Bible does not claim to be inherent, you are simply saying that God makes mistakes or at lest is capable of making them, which if that is the case I do not want to follow whatever God it is you follow. The Bible makes the claim that all scripture is “GOD BREATHED”, so if he had his hand in it, and he is perfect, then that should settle it. Anything less is following a different god. That doesn’t mean there are not debatable issues within the interpretation of the whole Bible, but there are Definitely points that cannot be denied. In doing so one is in fact denying God. Denying and not understanding are two separate things though. The Bible makes this clear. Numerous warning versus. (Many in regards to eternal rewards IMO taken out of context) but that is not what I am hinting at. Lordship Salvationists and Arminians who believe salvation can be lost through willful sin turn to Matthew 7 21-23 constantly to warn people. I disagree entirely with the common method used by these folk, as it IMO only instills fear upon true believers and does not take the Bible in its wholeness to a logical conclusion. I will not go into this further at this time unless someone would really like me to, but the point I am getting at is this- This is a clear warning verse about people going to hell who do not think they should be going. They seem to “know” who Jesus is and yet Jesus tells them depart from him and assigns them to their fate. This clearly shows there is a line of demarcation somewhere. I have my own thoughts about the subject which I believe is the only way to conjoin the free Gift of God, eternal security, works, obedience, faith, etc.. without the Bible then becoming contradictory. I say this with Chagrin, because I have been defending the inherency of the Bible tooth and nails, so to say that it is difficult for the Bible to not contradict itself is kind of like putting a gun in my mouth. The problem is that most people do not want to take the time to get into it, or they simply fear/do not want to know the possible answers. There are very concrete and reasonable conclusions and explanations for every difficult passage in the Bible. 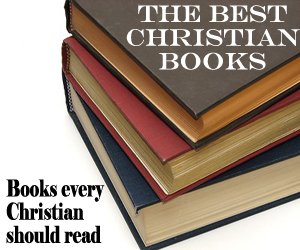 But my ultimate point is that the Bible and its content within matters greatly. There are verses that warn people of being in error and miss salvation. These verses mean something, one cannot omit or deny these verses. I chose Matt 7 because many new commentaries are trying to allegorize Matthew 7 into a eternal rewards concept. While I believe many verses deal with eternal rewards that are mistakenly used in conjunction with Salvation, this verse is extremely hard pressed to be viewed in a manner other then salvation from hell. If one picks and chooses verses out of the Bible, and does not take it as a whole, then one goes against what the Bible says, and is also, in my estimation, in danger of the Final warning in the closing of The Revelation. It is absurd to believe any of the Bible if one is not going to take it as a whole. I am not trying to be dogmatic about this, I am just pointing out what the Bible itself says. If you believe the Bible is true, then you don’t have a choice in the matter. If you do not believe the Bible is the true word of God then we have to start from there. 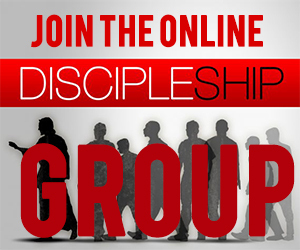 Let me put it this way… are you a child of God? I assume you believe you are. But as a child of God, do you still make mistakes? I hope you would say yes. But how can that be? How can a child of God be “of God” but also make mistakes? I think that maybe the “word of God” can be viewed similarly. I don’t say this to pick and choose verses out of the Bible. I take it as a whole. I also believe it is all true, and all authoritative. Read FF Bruce’s The NewTestament Documents : Are they Reliable?-Read books like McDowell’s Evidence that Demands a Verdict and others and see how many of the books were ALREADY considered God’s Word by the early church. If the Text we have and depend upon for our salvation and all things pertaining to life and death is holed with errors we have no witness to the world at all. If God could not preserve the Canon of His Word by which He would save man then we are in trouble. Maybe that’s expecting a bit too much from the Bible? I have a high view of Scripture too, but that is NOT the same as claiming that the 66-book anthology of ancient writings selected and assembled centuries later by men with political agendas (“picking and choosing” the scriptures they liked and omitting others BTW) that we moderns call The Protestant Canon is without error. It is manifestly true that the Bible DOES NOT claim to be inerrant. To impose on scripture a quality it doesn’t claim for itself is disrespectful to the text (and to God), and constitutes an elevating of the “traditions of men” above the precepts of God. To imply anything less then inherency in the Bible is to claim God made a mistake. If your next response is that humans make mistakes and that is why we cannot rely on the validity of the Bible, then I will not even get into the information Presented by Mr. Richmond, which if you would choose to read, you would find adequate information, showing the early use of almost all the books of the Bible by the Early Church. I will appeal to you to Read or re-read the Bible and see how often God uses Sinful, worthless, corrupt man to fulfill his ultimate plans…. >To imply anything less then inherency in the Bible is to claim God made a mistake. Problem # 2: Which texts, in which language? The Pericope Adulterae & Comma Johanneum are merely two of around 100 pericopes, or parts thereof that are not found in all extent Greek manuscripts. If you want to complicate that issue, include the Latin, Aramaic, Hebrew, and other languages that the Bible was translated into, during the First Millennium. If you really want to be annoying, include the Chinese translations that were preserved by First Millennium Christians in Japan, in that equation of “which languages”. Problem #3: We know that copyists made errors. Codex Sinaiticus , for one, is littered with corrections, if not corrections of corrections. Other _Greek_ manuscripts show the same thing. Jewish rules for transmission of the Tanakh had very strict requirements about copying the material. If an error was found, the page was suitably buried. Nonetheless, we still find textual differences in Hebrew manuscripts. How can Christians claim as truth that the Bible is the word of God whilst simultaneously claiming as truth that one cannot prove God’s existence? Conscience and creation, Romans 1. Sorry Dr. Montgomery is insulting to your intelligence- but hey its your choice. The points he makes were about the OT and then indirectly to what would be spoken in the NT- but I wont insult you further. I tried to watch that 2nd video, but after a couple minutes I couldn’t stand to subject my mind to such abject absurdity any longer. The very question “how did Jesus view the Bible?” is an insult to any intelligent discussion, on a par with “if the King James version was good enough for Paul it’s good enough for me”. “The Bible” DID NOT EXIST in Jesus’ day! To apply anything Jesus said about scripture to the modern Bible is both illogical and intellectually dishonest. My Sin Nature makes mistakes and sins. My New nature is incapable of making mistakes and sinning (Romans 7&8) So ultimately God Living in me does not sin or make mistakes. People can point out how there are a few grammatical differences between the exhaustive amount of biblical manuscripts, which I would indeed ascribe to human error, but the content is consistent and nothing that changes the core message is in question. In fact Scripture is validated by these manuscripts more then anything. If we are questioning the potential canon of scripture being used I will again refer to God’s use of Sinful, corrupt man throughout the entirety of the Bible in accomplishing his ultimate purposes. It would be really odd for this theme to permeate the Bible and yet, somehow now the Unchangeable God lets his book, which is all about using Fallible men to complete his purposes, somehow now screw it all up…. That is just crazy…. He always accomplished exactly what he wanted. I doubt that changed in regard to putting together the Canon of Scripture. To get deeper, He accomplished exactly what he wanted in regard to every facet of Jesus life. Jesus being the word, I am certain that God accomplished exactly what he wanted in delivering the written word to Everyone. I see the point in the analogy made, but Ultimately, Jesus is the word, Jesus is perfect. 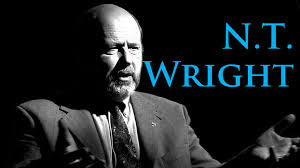 so the Canon of scripture depicting the written word, which is in essence Jesus, must be AT LEAST perfectly Sufficient for everything we need, if not entirely Perfect. That is a claim that I’ve never heard anyone make: “My New nature is incapable of making mistakes and sinning”. Is that what your family and those who know you tell you? If you were my employee for the next year do you think that is what I and your fellow employees would say a year from now? So you think that not only the Bible is perfect, but also that you are perfect? Is that a variant of Arminian theology? While it might sound like a Jekyll and Hyde doctrine I believe it’s an evolved form of Sethian or Valentinian Gnosticism. The root idea is that matter, which is always divisible is the exact opposite of God who is indivisible. It follows therefore that matter is satanic. After the fall, the heresy explains, man was clothed, which means he was given skin, and thus made material and expelled from the spiritual eden. There exist therefore in the fallen human two men, the material that cannot be saved, and the spiritual that can be redeemed. The upshot of all this is that the material, sinful man and the spiritual man have completely independent careers. While the material man pursues his material desires, the spiritual man, once saved cannot be blemished, his salvation is guaranteed irrespective of the material man’s depravity. Like all great heresies it has it’s own internal logic and rejects ethics in favor of revealed dogma. Reports by the early church fathers concerning the followers of these heresies were scandalous and many an unsuspecting virgin and noble woman was corrupted by their beguiling rhetoric. Judging from the state of the church it may still be a popular teaching. It wasn’t God that put together the canon of the Bible. It was a panel of unscrupulous church ‘fathers’ who destroyed other books that were equally inspired by God but didn’t agree with their favorites; who were inspired by God to stifle dissent by persecuting and even murdering those who disagreed with them, just as God in his wisdom inspired the infanticide and genocide described in the Old Testament; just as God inspired the Crusades and the Inquisition, just as God now inspires those currently working to establish a global Islamic state to eliminate their opponents. God is great! Allahu akbar! Or maybe we don’t know God nearly as well as some of us think we do? 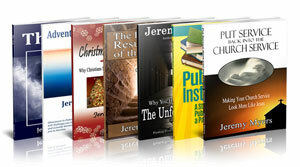 Brother Jeremy have you found it beneficial spiritually to go at Seminary? Without it, I would not have the job I have now. But it is very difficult for me to recommend all the time and expense for people. I suppose it all depends on what you want to do with the degree. If you are thinking of going just for the knowledge, don’t do it. You can save yourself LOTS of time and money by just reading lots of good books. Oh okay, so what job are you doing, do you mind sending me your email address? If the Bible is inerrant what do we make of Psalm 137.9 ‘Happy the ones who takes and dashes your (Babylon’s) little ones against the rock’. Is the bible saying that those who carry out brutal infanticide will be blessed by God? Brian, you have to put this verse within it’s historical milieu. In those days child care expressed a more primitive flair. 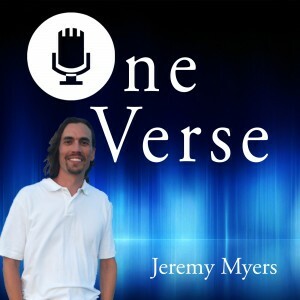 Jeremy …the fact that the Bible claims to be perfect is indeed significant because it tells the reader how to interpret what he/she is reading. If the Bible positioned itself as only partially true then that would be the posture from which we would read the thing. Now you are most correct that to try to prove inerrancy from the pages of the thing claiming to be inerrant is circular reasoning of the highest degree. But we do know that the claim is made. After that there are tons of ways to prove that the Bible is correct…fulfilled prophecy, including the names of Cyrus of Persia and Hezikiah of Judah by name and by activity hundreds of years before they were born, science written hundreds of years prior to the discovery as in the “circle of the earth sits on nothing” in Isaiah…but the evidence I prefer over all the rest is the longevity in the making of the Bible. No other document comes close to being written over 1500 years by at least 40 authors all claiming to have interacted with a being ergo God, and the result is ONE BOOK….what other 40 authors writing over a period of a millenia and a half could have a document which is historically, ethically, philosophically, and religiously one book…it is a miracle to hold a Bible in one’s hand….regardless of the nonsense being published by skeptics on this page. And Kyle….you have no intelligence or you would take the time to throw out the silly arguments you have raised….these have been raised by many others over the years and they have done a much better job of explaining them. Josh McDowell set out to disprove the Scriptures and he has been preaching the truth for many years now. He led me to the Savior in 1970 and I will forever praise the Lord because of him. Yes Kyle, if being called an idiot doesn’t convince you I don’t know what will. By the way, Shawn and Lutek, we know what books should be in the Bible, it tells us on the contents page. In short, you are expected to treat everyone here with respect. Demeaning or putting down other people who comment, name-calling, rudeness, unkindness and similar behavior will result in your future comments being edited or deleted. If you disagree, do so respectfully. I am not the “moderator” but fully support his input and work on this site. He is a volunteer who is helping me maintain this site, and especially the comments. It is fine to disagree with me or other people who comment on this site, but please do so with a spirit of gentleness, respect, and grace. I challenge you to find this “fact” in the Bible. The Bible never makes such a claim. 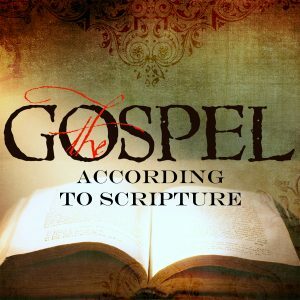 You probably have a list of scriptures (the same ones I once used) for this purpose, but if you look at them honestly they do not mention the Bible, but rather “the law”, writings of “men of old”, “the Word of God”, “this book”, “this prophecy”, “the scripture” or other specified or unspecified writing(s) – NOT ONE says “the Bible” or can be reasonably interpreted to refer to the Protestant or Catholic canon WE moderns mean when we talk about “the Bible”. I must say, you took the idiot jibe very well. You’re like a nail that keeps popping up. You do know that Dennis only has a hammer? The claim that the Bible has for itself is of course 2 Tim 3.16 ‘All Scripture is given by inspiration of God and is profitable for doctrine for reproof for correction for instruction in righteousness’. I have heard this verse used to support inerrancy and an omni-authoritive view of Scripture but it is of course limited in its claim. The Bible is given by God to his people so that they might become more like Him. What we discover in any good literature, and I will include the Bible, are characters that cause us to reflect on ourselves. It is in this that they are instructive. They are indirect mirrors through which we can know ourselves. If we find it abhorrent that God commands genocide in jealous anger or out of racial prejudice, then we at least know that we have not entirely lost our moral compass. If on the other hand we defend these atrocities out of blind subjection, then we need face that our religious dogma has completely corrupted us. Faith does not rest in a revelation, but rests in the impossibility of revelation. To say that God is the creator is at once to face our own ignorance, for we cannot even grasp in our mind’s eye the vastness of His creation nor comprehend the power through which He brought forth an atom. Whatever we mean by “God the creator,” God exceeds, proving that word and concept cannot contain Him. The word is an inadequate symbol, the concept a faint shadow. To set out on the journey of seeking God is to immediately face our limitations. God’s infinity shocks us. Any ideal we conceive, He exceeds. In comparison to God my ideal of peacefulness is shown to be violent. In comparison to God my ideal of generosity is shown to be shallow. In comparison to God my ideal of wisdom is shown to be foolish. In comparison to God my ideal of patience is shown to be rash. God exceeds our understanding, not by confusing our intelligence, but because His every quality exceeds our most inspired ideals. This is the most misunderstood doctrine in Christendom. And the problem begins right there. Or would rather one starts at the level of the individual pericope, in the individual codex, and proceed through each of the 300 odd candidates for inclusion in the Christian Bible? Kyle…your wall indicates you are a pretty mixed up dude…you say you follow Christ but do not understand His Word…you seem to be Emergent but I doubt you would accept even that label. The person who knows that he does not understand God is less deluded than the person who believes he does. Dennis, say something Christian. You’re a wonderful chap when you write from your heart. Your quote from Psa 119 is a good example. There can be a number of explanations of what the Psalmist meant by “Your Word”, but there is NO logical, historical, exegetical, literary or otherwise reasonable basis for thinking he meant the modern Bible. Calling me “mixed up”, btw, is what is known as an “ad hominem” argument. It might reinforce your sense of superiority, but it provides no actual support for your belief. In other words, I might be completely insane, but doesn’t prove you’re right.